7:41 a.m. — A caller from the 200 block of Dorsey Drive reported a vehicle occupied by a woman who appeared to be passed out. The woman moved along. 7:41 a.m. — A caller from the 100 block of Carriage Lane reported a fire behind her residence in a vacant field. Cal Fire said it was a burn day. 8:56 a.m. — A person in the police department lobby requested to speak to an officer about her boyfriend’s history and if he’s safe. The person said she doesn’t feel safe around him. The person was gone when an officer arrived and hadn’t left a phone number. 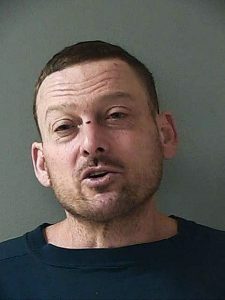 9:38 a.m. — A caller from the 1900 block of Nevada City Highway reported a man walked up to the caller’s vehicle and kicked it, unprovoked, causing damage. An arrest was made on charges of vandalism. 10:16 a.m. — A caller from the 1000 block of Sutton Way reported a man just ran into a business shouting at the caller and said he was “undercover” and going to “take care of” the caller. Officers weren’t able to locate the man. 10:30 a.m. — A caller from Primrose Lane reported someone stealing checks and medications. The caller called back to say they were just misplaced. 12:32 p.m. — A caller from the 100 block of Neal Street reported a man and woman panhandling. Officers found a man and woman sitting in front of a business eating, but no one panhandling. 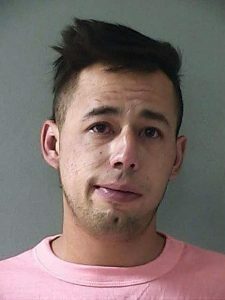 1:15 p.m. — A caller from the 600 Idaho Maryland Road reported transients. Officers found a man with a very large camp who was advised of the no camping ordinance and he would be vacating the area by Saturday. 1:18 p.m. — A caller from the 700 block of South Auburn Street reported finding a paper bag full of CDs. 2:45 p.m. — A person flagged down an officers on the 400 block of South Auburn Street to report a man snooping around mailboxes. The caller said a person stuffed a bunch of mail into a bag then looked around a residence and then went inside. Officers confirmed the person was a resident. 3:49 p.m. — A person came to the police department lobby regarding an accident he didn’t think happened. 3:54 p.m. — A caller from the 200 block of Sierra College Drive reported a physical disturbance in a parking lot. A call received from an involved party said it turned into throwing groceries at one another and coffee was thrown and food was thrown. The caller was no longer on the scene. 3:59 p.m. — A caller from the 400 block of Oak Street reported a neighbor’s cat was extremely aggressive and had been attacking her cats. 12:03 p.m. — A caller from the 100 block of Berryman Street reported someone had loud music playing while lifting weights for the last three hours, and had been dropping the weights on the floor whish was the caller’s ceiling. 12:47 a.m. — A caller from Peninsula Court reported a physical disturbance. The caller was locked in a room upstairs with several people that live at the residence. The caller said the suspect was crazy and he was going to get guns. The suspect lived on a trailer on the property. When officers arrived, no one wanted to press charges. 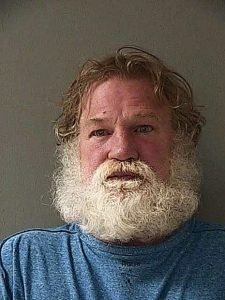 5:49 a.m. — A caller from Cedar Way reported his son is the “biggest drunk in Nevada County” and has been calling her and her husband yelling and threatening them. The son was on probation with no drinking terms. 12:46 p.m. — A caller near the corner of Argall Way and Zion Street reported someone appeared to be exposing himself. The caller said he had a lion-type mask over his face and appeared to be pleasuring himself under a hoodie. Officers found it wasn’t as reported per witnesses. 6:21 p.m. — A caller from the 200 block of Pine Street reported receiving a strange call from a man who called on a regular basis. The caller said when she picked up the phone the man became irate and kept asking why she picked up the phone and why wasn’t the message machine working. The caller said he became so upset he was yelling at her and disconnected. the caller said she received an additional five or six calls from an unknown number she would pick up the line would be open or she would hear clicking on the line with no voice. The caller said the man calls all the time leaving messages with questions he has and becomes very upset if anyone picks up the phone. 1:01 a.m. — A caller near the corner of Broad Street and Commercial Street reported a group of Rastafarians playing music out of a vehicle and hanging out in the street/sidewalk. Officers were unable to locate the Rastafarians.